Some economists are still optimistic about microcredit schemes to eradicate poverty despite its low success rate. Guess what: just like many things in economics, microcredit works only in theory, not in practice. Microcredit is a loan given out typically to poor people, ranging anywhere between $100 - $25,000. 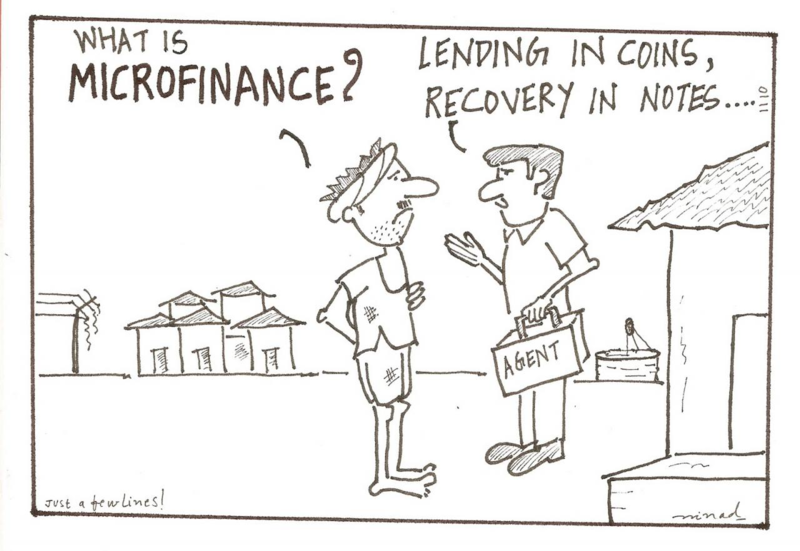 Unlike normal loans, microcredit does not focus too much on the borrower’s collateral. Instead, microfinance institutions try to teach basic money management and investing skills like how to use bank services and manage debt (or at least, that’s what they should do). It is not a bizarre concept, and you want to believe it works. After all, giving out small loans to the poor to start their own businesses and become self-sufficient does sound great. Microcredit seems like a win-win solution: people overcome poverty, and microfinance institutions make money from interest. If only it were so simple. Because the concept sounds easy, we hold on to it, but it’s not realistic. Proponents of microcredit assume that capital is the primary element of starting a business and consumption is guaranteed when there are goods to consume. This does not happen in areas of extreme poverty. Often, microcredit is a mere remedy that reduces poverty without curing it. Unable to repay the first credit, people get into a vicious cycle of debt because of skyrocketing interest rates. Many people are “borrowing blind,” not fully understanding the conditions of the loan. The idea that “supply creates its own demand” is fundamentally not true. Consumerism that drives businesses in the developed world cannot be replicated in extremely poor areas with micro-economies. Here are some examples, from all around the world, of how microcredit failed the poor. South Africa: Microcredit schemes were introduced to the country post-apartheid and resulted in extreme poverty and the loss of homes and assets. Microcredit is even believed to be the cause of South Africa’s subprime financial crisis. Bosnia: After the Yugoslav civil war ended in 1995, microcredit schemes were introduced to encourage bottom-up economic activity. By 2009, the country had the second-highest microcredit sector in the world, and some of the highest micro-debt in the world, with little to no investment created by the loans. India: It is believed that microcredit debts have caused over 200 suicides in Southern India after interest on loans sharply increased. Some debt collectors were harassing the debtors, causing despair and hopelessness. So what’s the alternative? Surprisingly, giving cash out with no strings attached works much better. Loans stress people out and destroy economies, but free money actually puts people into business.